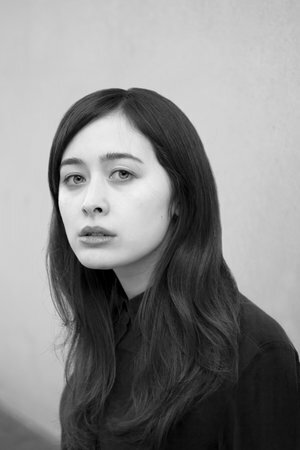 Rowan Hisayo Buchanan is a Japanese-British-Chinese-American writer. She has a BA from Columbia University, an MFA from the University of Wisconsin-Madison, and is currently working on a PhD at the University of East Anglia. Her writing has appeared in, among other places, NPR's Selected Shorts, TriQuarterly, the Tin House Open Bar, the Indiana Review and she is a 2015 Margins Fellow at the Asian American Writers Workshop. She has lived in London, New York, Tokyo, Madison and Norwich. 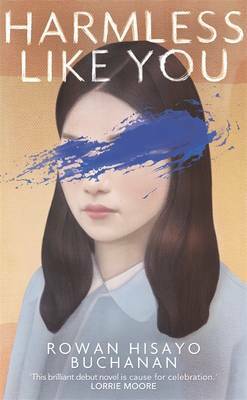 Her debut novel, Harmless Like You, is set across New York, Berlin and Connecticut, set across New York, Berlin and Connecticut, following the stories of Yuki Oyama, a Japanese girl fighting to make it as an artist, and Yuki's son Jay who, as an adult in the present day, is forced to confront his mother who abandoned him when he was only two years old. Exclusively for Foyles, we talked to Rowan about her mixed race heritage, the possibility of there being no 'right choice' and how she discovered 'therapy cats'. How much of your book was inspired by your personal history as a Japanese-British-Chinese-American writer? I’ve always had my hyphens, so it’s hard for me to imagine how I’d write if I was only one thing. But I do see my family history echoed in both my main characters. My mother grew up in New York as a half-Japanese half-Chinese kid. But when I watched movies or read books about that time and place there were no Asian people. The first time I watched Breakfast at Tiffany’s, I had no idea that Mickey Rooney in buckteeth was supposed to be Japanese. He just looked like there was something wrong with his face. So, Yuki became the character I was looking for in those books and movies. The second was that like Jay, Yuki’s son, I’m mixed race. My feelings about that have changed over the years. Some of my mixed race friends see themselves as closer to one side or another, because of language, where they grew up or their relationship to a particular parent. For Jay, as for myself, that negotiation is uncomfortable and unstable. Jay deals in Asian art but, because his mother left him, he has great antipathy to his Japanese heritage. Yuki has an epiphany in an art gallery. Did you ever experience such a moment when you knew beyond all doubt what you wanted to do with your life? Becoming a writer seemed no different than wanting to grow up to be a dragon or a knight. So in my early twenties, I was living in Tokyo and interning with a management consultancy. I could walk to work from where I was staying. The building was incredibly tall and beautiful and I’ve never been in a restroom which had such a good view. But I was struggling with very severe depression. Every time I went to work, I thought about jumping out of the window. I knew I was so lucky and that my life was lovely, and yet I was deeply unhappy. I started thinking, what could I do for the rest of my life that might make me not want to lever open the glass and fall. Telling stories was it. I called my parents and friends, and told them I wanted to be a writer. Infuriatingly, they all said they’d known it all along. The writing didn’t cure my depression, but it gave me the will to fight it. Jay’s cat plays a surprisingly big part in Jay’s life and his relationships. How did the whole cat thing come about? Then as I was writing and thinking about what it was in the world that Jay might love, Celeste prowled into the book. There are many moments when Yuki’s life might have taken another turn: if Odile hadn’t left, if she’d walked away from what was to become an abusive relationship, and so on. And yet there is also a feeling that somehow her life was destined to take the path it took. How much of her fate did you know from the outset? I think I knew from the start what Yuki would do. But I also knew that she wasn’t evil or unloving. So I suppose I was working my way towards the question of why a mother might leave a child she adored. Your book is dedicated to the people who stay. Neither Yuki nor her parents, nor her friend for that matter, ‘stayed’, but your book suggests that leaving isn’t always the easier option either. In your mind is it more clear-cut? No! It’s often very complicated. One of the things that I’m most interested in is the possibility of there being no right choice. I know that my own mother often questioned the geographic and career choices she’d made. I have no idea if staying with me in England was the correct decision for her or how another choice would have played out. But, if she’d left I probably wouldn’t have dedicated the book to her. I am enormously grateful that she continues to care for me in so many ways. And I think it is important to remember to be grateful for the people who choose to stay in our lives. Art plays an important role in the book, is it something that is significant in your own life? Yes. Deeply. I always see my stories before I find the words. When I am stuck writing, I usually turn to either art or poetry for inspiration. When and why did you decide to reveal in the prologue that Yuki had abandoned her son when he was a baby? Choosing the prologue took me a long time. Jay wants to know what made his mother leave. He doesn’t know his mother and can’t understand her actions. I wanted the reader to share Jay’s question as Yuki’s life is revealed. Early readers have all commented on the quality of your prose, your editor praising its ‘spectacularly precise beauty’. Yuki is often frustrated that her work does not live up to the vision she had for it. Is this something that has come out of your own experience of writing? It probably comes out of my whole personality. I like to plan how I want things to be. Unfortunately, they don’t usually work the way they do in my brain’s movie. When I think about it, the habit of making up futures may in itself be a writerly one. However, I should mention that I didn’t see Yuki’s art just as a stand-in for writing. I also make visual art in a small way. I think visual work is visceral in a different way. Writing a novel can feel like being trapped in your own skull. For me, a lot of what is really exciting and challenging about visual art is that you can work in the physical world. For Yuki, I think it becomes her primary way to interact with the world around her. How did you feel when your book went to a six-way auction? Were you still writing it at that point and how did it change your relationship to the book? The auction itself felt like a miracle. It was only then that I gave myself permission to think of Harmless Like You as a book and not a manuscript or a novel-beast-thingamajig. There is nothing like meeting strangers who love a world you dreamed up. As I write this, I’m still dazed by my luck. By the auction, I had a finished draft. But I worked very closely with my editor Francine Toon before we had the published version. I was so lucky, because Francine is a poet and has such a precise ear for language. We were emailing back and forwards over Christmas and I remember thinking that I couldn’t have asked for a better gift than her insight. You will have finished writing this book some time ago now, what new projects do you have on the go? I have a story in Sceptre's How Much the Heart Can Hold anthology. I'm also working on a new novel. It's only a seedling, but I'm watering it with care.